Any driver who was convicted of a second or subsequent OUI offense and is currently eligible for a hardship license or reinstatement of license is required to have an ignition interlock device installed in any vehicle that he or she drives. The law is intended to protect the driver and the public from the harm often caused by operating under the influence of alcohol. If you have more than one OUI conviction and are eligible for a hardship license as part of your suspension, or if you are restoring your license after suspension ends, you will be required to pay for the installation of an ignition interlock device from an approved vendor in every vehicle that you own, lease, or drive. This may include your spouse's car or a vehicle you operate for your job. If you are reinstating your license and have two or more OUI offenses on your record, you are required to have an ignition interlock device in each vehicle that you drive for two years. If you received a hardship license, the device must be installed for the entirety of your hardship license and two more years after your license is reinstated. An ignition interlock device is installed in the vehicle and connected to the engine's ignition system. Before the vehicle can be started, you will have to blow 1.5 liters of air into the alcohol sensor unit. The device is preset to prevent the vehicle from starting if you have a reading of greater than .02 BAC. Every thirty days you will need to go to your Ignition Interlock Device vendor so that they can upload and transfer your data to the RMV. If you fail to follow the requirements of Massachusetts's ignition interlock device program, your license will be revoked for ten years to life. Contact Attorney Joseph Bernard today for a free consultation at (413) 731­-9995! The penalties for driving under the influence are often severe. 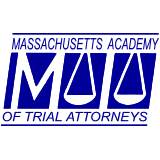 An experienced OUI attorney may be able to help you. If you are facing OUI charges, you are at risk of losing some of your most valued personal freedoms. 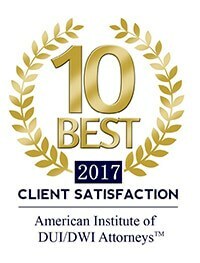 Attorney Bernard has devoted a large part of his practice to defending clients against OUI related offenses and may be able to help you fight your charges. He works directly with his clients to create an intricate defense strategy to give them the best chance of success in court. It makes no difference if this is your first offense or if you have multiple OUI convictions. You need the representation of an experienced and aggressive lawyer who will advocate for your rights.